WRESTLE TALK PODCAST PRESENTS EXCLUSIVE INTERVIEWS WITH BRADY LAWRENCE AND BRIAN PILLMAN JR. 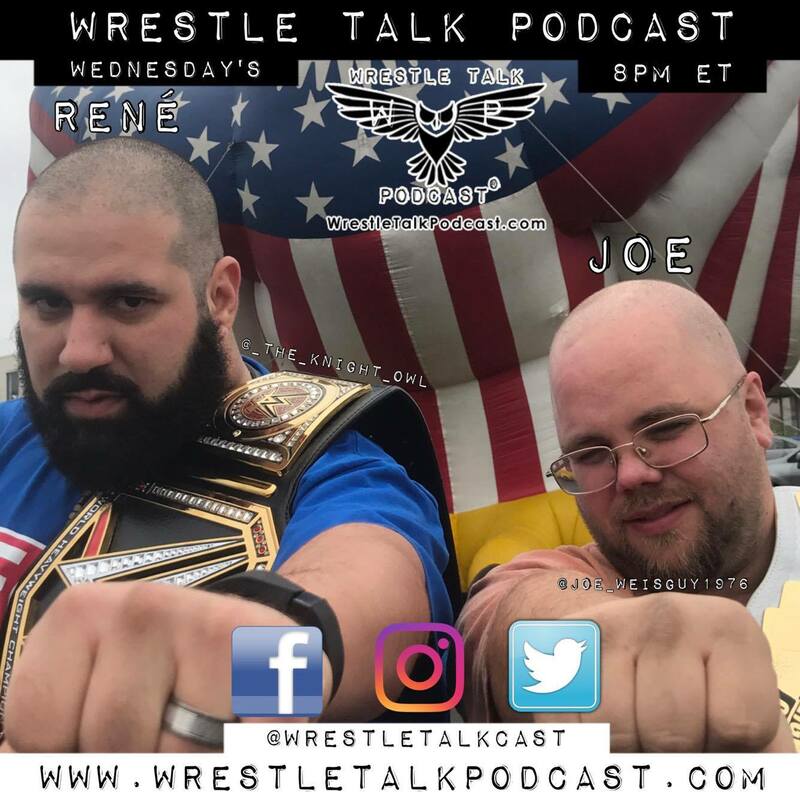 The Wrestle Talk Podcast with Joe and Rene is proud to announce that on Thursday, March 22nd, we will have two special guests on the program. At 7:30 P.M., the Wrestle Talk Podcast will sit down for an exclusive interview with Proving Ground Pro co-owner and play by play commentator Brady Lawrence. Over the course of the last five years, Proving Ground Pro has grown to become one of the premier professional wrestling promotions in central Illinois. We will have the opportunity to talk about the upcoming 4th annual Ryan Buckley Memorial Tournament to be held on Saturday, March 24th in Petersburg, Illinois. This one night, single elimination tournament will feature some of the greatest professional wrestlers in the United States today. Proceeds from this event will be donated to Operation Home Front. At 8:30 P.M., the Wrestle Talk Podcast will have the opportunity to speak with Brian Pillman Jr. The son of legendary professional wrestler Brian Pillman, Brian Pillman Jr. played high school football at Dixie Heights High School in Edgewood, Kentucky. In February 2017, Brian Pillman Jr. announced that he had decided to follow in his father’s footsteps to become a professional wrestler. Wanting to keep his father’s professional wrestling legacy alive, Brian Pillman Jr. was trained by Lance Storm at the Storm Wrestling Academy in Calgary, Alberta, Canada. This past weekend, Brian Pillman Jr. won his first professional wrestling championship, the WCWO Outlaw Championship. Please tune in to the Wrestle Talk Podcast as we continue to bring you the best in the world of professional wrestling. This entry was posted on March 20, 2018 at 9:53 pm	and is filed under Uncategorized. You can follow any responses to this entry through the RSS 2.0 feed. You can leave a response, or trackback from your own site.